Please read all of the metaphysics degree information presented on this site in order to make an informed decision about getting your metaphysics degree from Thomas Francis University. 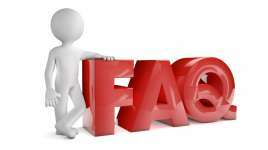 Questions regarding each degree program are answered on the specific degree program description pages (click on "Choose Your Degree" in the menu above). This page answers most other general questions. How do I enroll in the degree program? Enrollment is easy! Simply navigate to the enrollment page and choose the degree program you want by clicking on the degree title. Then, complete the enrollment application and submit your tuition payment. Applications are processed very quickly (usually just a few hours). See the specific degree program page for tuition rates and required courses. How do I enroll in single course? Enrollment is easy! Simply navigate to the Course Descriptions page, choose the course you want, and click on the "Enroll" button next to the course title. Then, follow the instructions for submitting your tuition payment. PayPal and major credit/debit cards are accepted. Enrollment is instant once tuition is submitted. For single courses, enrollment is for 2 years. Please complete your course within this time frame. For those enrolled in the TFU Degree Program, you will be enrolled in your courses until after you graduate with your Doctoral degree. Students are encouraged to save the study material to their computers for future reference. Why is your degree tuition so much lower than other schools? Our tuition is deliberately low because we maintain a low overhead and we want to make our degree program available to as many students as possible. Thomas Francis University is a division of the International Church of Metaphysical Humanism, Inc. (ICMH), a metaphysical religious organization that focuses on quality training and education as part of its ministry in an effort to raise the level of consciousness among people in our world. Since our metaphysics Bachelor's, Master's, and PhD degree programs are based online, we are able to automate many tasks that would normally require staff members to complete. This saves both us and student's time and money. Even though our tuition is very reasonable, our courses are concentrated and comprehensive, and contain quality content that is designed to teach you the skills you desire as well as practical life skills that will enhance all aspects of your life. The old expression, "You get what you pay for" may be true in most cases, but with Thomas Francis University, you get far more than you pay for. Will my tuition ever go up as with traditional colleges? Tuition rates for students who prepay or have paid for their courses will never go up. Otherwise, course tuition will be at the then-current rate when enrolling. This said, we do not raise our tuition rates every year like traditional colleges and universities. Since our tuition rates are deliberately kept low, financial aid is offered in the form of paying for one course at a time with zero interest or with automatic payment plans. Please see Degree Program Tuition & Enrollment Info for details. For students in the TFU Degree Program, we offer a payment plan or you can pay for one course at a time at your own pace. We can also customize an automatic payment plan for you. Please see Degree Program Tuition & Enrollment Info for more details. Payment plans for single courses are not available. Can I use federal student loans or other federal funding such as a GI Bill for my degree tuition? Since no metaphysical school is eligible for federal accreditation, you will not be able to get a federal student loan or use your GI Bill for your degree program tuition. This is one more reason why we maintain low tuition rates and offer payment plans as well as the Pay-As-You-Go option. Is an instructor/professor available if I need help? Yes! Once you have enrolled in a course, you will have email access to the course instructor. In addition, help is available from the instructor by phone or Skype, if necessary. Do you offer credit for life and work experience? While your life and work experience is priceless, we are unable to give credit for these for several reasons. Our curriculum is unique and follows a specific path toward graduation. Therefore, it would be impossible to give credit for previous work or life experience because it is nearly impossible to quantify such experience and then translate it to our degree program in a meaningful way. However, your prior training and experience will aid you in taking our courses. I already have a Bachelor's and Master's degree. Can I just complete the Doctoral Thesis to get my Doctoral degree? We appreciate the time and effort you spent in getting your degrees. However, our degrees are metaphysically-based and are therefore different from other academic degrees or even other metaphysical school degrees. For this reason, students must take all required degree courses for their degree choice. Do not view this as doing your Bachelor's and/or Master's degrees all over again. View this as earning additional degrees based on new subject material. This being said, we do offer credit for a previous Bachelor's/Master's degree at our sister school, the Institute of Metaphysical Humanistic Science (IMHS). Click Here for details. Can I get credit for previous metaphysical courses I've taken with other schools? Since our curriculum is unique and proprietary, we are unable to give credit for other metaphysical courses. However, your previous training will likely help you get through our courses more effectively. How slow or fast can I complete my degree? With the self-paced format, you can generally take your time or speed up the process within limits. On average, our students complete all three degrees in 10 to 12 months; some go faster, some take longer. It all depends on one's circumstances. The degree program is designed so you can easily fit in one course per month. For students who wish to finish their degree as fast as possible, they can complete up to three courses per month if their schedule permits fulltime study. This would allow completion in about 3 or 4 months, which is the minimum amount of time allowed. However, we reserve the right to require extra-credit assignments if the instructor is concerned about a student not properly assimilating the course material. Are the courses taken online or through the mail? All courses, study material, multimedia, assignments, and exams are conducted 100% online. Many course materials may be downloaded for offline study, but some do require you to be online. Are there any additional costs such as textbooks? How do I get my study material? The various course pages contain all of the study material you need for completion. No additional books are required. All courses, study material, multimedia, assignments, and exams are conducted 100% online. Course materials may be downloaded for offline study. What do I need to complete the degree program courses? Is my computer good enough to take the courses? To complete the courses, you only need a home computer or laptop, an Internet connection (preferably cable or DSL; dialup may pose a problem for videos), and some quiet time for study and mediation. As long as your computer is not a relic from days gone by, you should have no problem accessing our course material. The study material comes in PDF format, so you will need Adobe Acrobat Reader (comes standard on all computers). Audios are in MP3 format. Videos are in MP4 format. If you can view videos on YouTube, you should have no problem. Our courses are also compatible with Mac's. You can also use iPads and Android Tablets for some study activities, but completing essays and assignments on such devices may be difficult. I have a slow, dial-up Internet connection that makes viewing videos difficult and slow. Can I get the study material on CD? We're sorry, but physical study materials such as books and CDs are not available for TFU courses. Yes, TFU is privately accredited by the International Metaphysical Practitioners Association (IMPA), an accrediting agency for metaphysical educational organizations that promotes high educational standards by requiring that only high-quality content must be used in courses, degrees must be earned through diligent study, transcripts must be maintained indefinitely and available upon the student's request, and strict records are to be maintained regarding student educational activity while the courses are taken. Please see the Accreditation page for more information on accreditation. How is your metaphysical degree any different than a diploma mill degree? Diploma mills are unethical businesses that offer fake academic degrees in an effort to make money. Some try to feign legitimacy by offering credit for life and work experience, and require little or no course work or effort from the student. Moreover, they are used by people to get higher paying jobs fraudulently. Our degrees, on the other hand, are legitimate, non-academic degrees that require time and earnest effort from students. Our degrees cannot be bought; they must be earned. We will not allow a student to graduate who has not earned the right. Do you offer Apostille certification for international students? Yes, you may get your degree program diploma and ministerial credential certified by Apostille when you graduate provided you live in a country that recognizes the Hague Convention of 1961 for authenticating documents for use in foreign countries. If your country does not recognize the Hague Convention, you can get a Certificate of Notarial Authority. An additional fee of $100 applies for either Apostille certification or Certificate of Notarial Authority (covers both your diploma and ordination credential, if applicable). We do not provide translation services (if required), nor do we send the credential to the Consulate of your country for approval (if required), nor do we advise on what may or may not be required for your country. Therefore, please consult the appropriate department within your government for more information. Can TFU degree course credits transfer as college credits? TFU courses can transfer to our sister school, the Institute of Metaphysical Humanistic Science (IMHS). Otherwise, our courses will not transfer to traditional colleges or universities. Please see the Accreditation page for more information. We accept PayPal and credit/debit cards for courses. We also accept bank wire transfers and Western Union for students in the degree program. You DO NOT need a PayPal account to use a credit/debit card. You can also pay by telephone. You do need a PayPal account to set up automatic payments on your own (if you choose such a tuition plan). However, we can set up an automatic payment plan for students who want one, but do not have a PayPal account. What if I need to take a break from my studies, or I have to withdraw? Will I still be required to fulfill my tuition payments? There are no contracts with the TFU Degree Program—students can cancel or withdraw at any time simply by discontinuing their studies and canceling any payment plans in effect. No tuition refunds for previous or current courses are available. Students who do not complete a course within 24 months will be considered inactive and will be automatically unenrolled from courses. However, the student can resume his or her studies at any time by simply notifying Admin. Students with extenuating circumstances need to inform Admin of their situation to avoid becoming inactive or unenrolled. Also, students whose email addresses are no longer valid will be unenrolled from the degree program until such time as they provide a working email address. Can I get a second Master's or Doctoral Degree? Yes, you can get a second Master’s and Doctoral degree by taking the required courses for that degree and, in the case of a Doctoral degree, submitting a dissertation related to that area of specialization. An administration fee of $100 applies to Master’s degrees and $300 for both Master’s and Doctoral degrees. You can print your transcript from the various course pages for individual courses. You will receive an official transcript upon your Doctoral graduation. Additional copies can be purchased from TFU. If you are someone other than the student, have the student email your request to admin@tfuniversity.org and include their full name and the approximate date of graduation. You will receive an official transcript in PDF format within 48 hours (usually much faster) once the student has approved the request. Printed and sealed transcripts with an imprint/seal are available for $15 plus postage (includes two copies). Contact Admin for more information. Please feel free to contact us using one of the options at the top of this page.